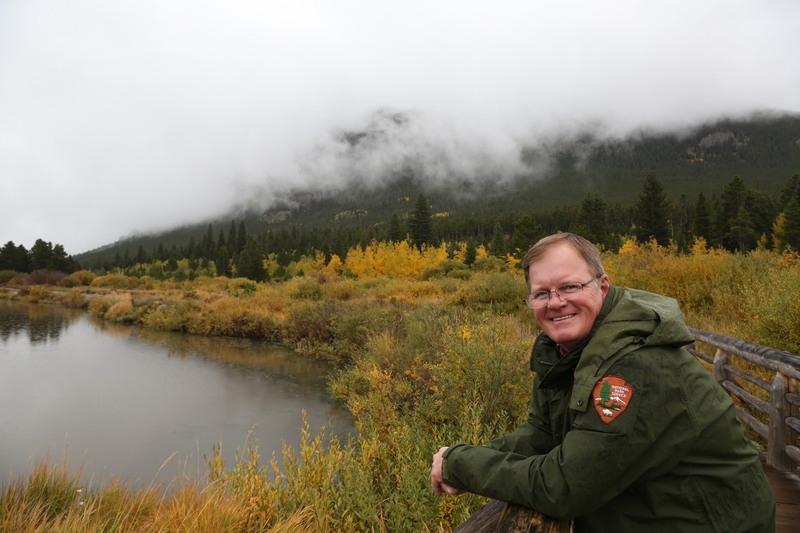 After 42 years working for the National Park Service from California to North Carolina, Pat Reed (’71 outdoor recreation resources) chose Colorado for his retirement. Pat began his National Park journey while he was still a student at Iowa State, working as a seasonal employee at Mount Rushmore in 1969 and then as an intake trainee at Grand Teton. By the time he graduated, he had a permanent job as a national park ranger. He worked in a series of positions at Grand Teton, the Jefferson National Expansion Memorial (St. Louis Arch), Death Valley, Sequoia and King’s Canyon, Wilson’s Creek, Cape Hatteras, Rocky Mountain, and Natchez Trace Parkway. For 21 years as a field ranger, he often responded to fires and other emergencies, was a federal law enforcement officer, supervised and participated in search-and-rescue missions, backcountry patrols, and snow survey patrols. At Cape Hatteras National Seashore, for example, Pat quickly learned how to handle a beached whale. And although the Iowa native was always an outdoor enthusiast, he found he had to learn specialized mountain, desert, and seashore skills. He has endless stories to tell. “All the ranger stories begin with, ‘There I was…’ and end with “and that ain’t no lie,’” he joked. His last two positions were as the superintendent of Chickamauga & Chattanooga National Military Park in Georgia and Tennessee and Mammoth Cave National Park in Kentucky. His decision to settle with his wife, Darit, in Fort Collins, Colo., near Rocky Mountain National Park was twofold: “We knew we wanted to come back to the mountains,” he said, “and Rocky is one of the gems of the National Park Service.” He hopes to volunteer in the park and help plan its upcoming centennial celebration. His two grown daughters had also moved to Colorado, and he wanted to be close to his grandchildren. He says he’s had a wonderful life.